Like the previous games in the Dragon Age series, Dragon Age: Inquisition allows the player to bring up to three companions on their journey. There are a total of 12 possible companions in Dragon Age: Inquisition – 9 active companions, and 3 adviser companions. 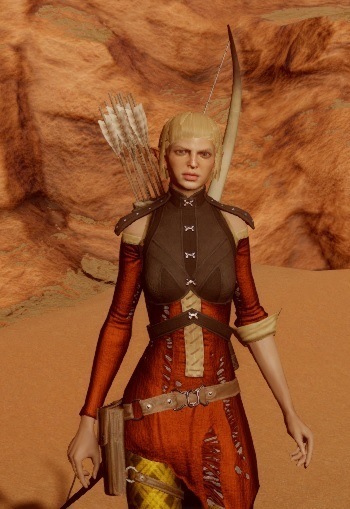 The three adviser companions – Cullen, Josephine, and Leliana, – cannot join the party, but will interact with the player inside Skyhold Castle, your seat of power. Most importantly, they will conduct wartable missions for you, through the use of force (Cullen), subterfuge (Leliana) and diplomacy (Josephine). These 12 companions are brought together in a group known as the Inquisition, led by the player-protagonist. The goal of the Inquisition is to bring peace back to Thedas, following the breakout of the Orlesian civil war, the mage-templar war, and the Breach in the Veil that separates Thedas from the Fade. 12 Companions and the Inquisitor in the center. Blackwall is a human member of the Grey Wardens – the order charged with battling the Darkspawn which emerge during the great Blights. Blackwall is fully devoted to the cause of his order and prefers the isolated, lonely life of a Gray Warden. You can recruit Blackwall in the Hinterlands through “The Lone Warden” quest. Blackwall can be romanced by Female Inquisitors. Cassandra makes a return after first appearing in Dragon Age 2. She is of noble birth, but instead of living out her life as a royal lady, she instead chose to join the Chantry – a powerful religious group. She is a member of the Seekers of Truth, elite templar warriors of the Chantry who fight corruption and misuse of magic. Cassandra is strongly pious and believes in serving justice. Cassandra is the first companion you will meet in the game. She can be romanced by male Inquisitors. 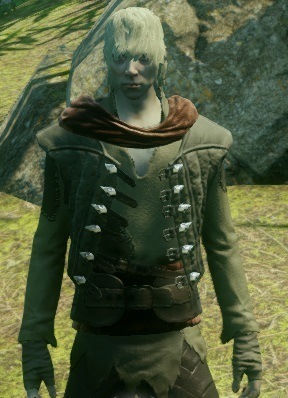 Cole is somewhat of a strange character, as he appears to be a spirit of a dead person, apparently stuck between the world of the living and the Fade. Even Cole does not know exactly what he is, and why he is here. Cole has the unique ability of sensing pain, and is incredibly stealthy. Cole appears in Haven automatically either after the Champions of the Just quest, or after you encounter Corypheus. Cole is not romanceable. 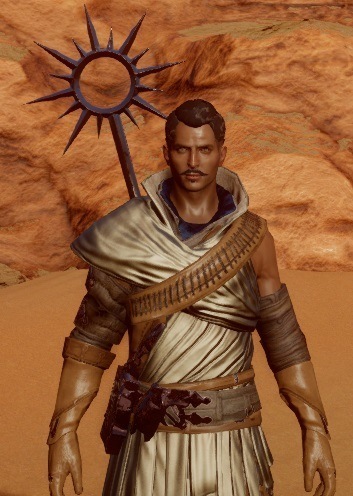 Dorian is a human mage of the Tevinter Imperium, the oldest kingdom in Thedas. The Imperium once ruled all of Thedas through their magical prowess, but has since waned in power. Despite coming from a powerful family, Dorian chose to reject his culture and has become an outcast. Dorian is recruited during the “In Hushed Whispers” Main Story quest in Redcliffe. He is romanceable by Male Inqusitors. Iron Bull is a Qunari warrior and mercenary. 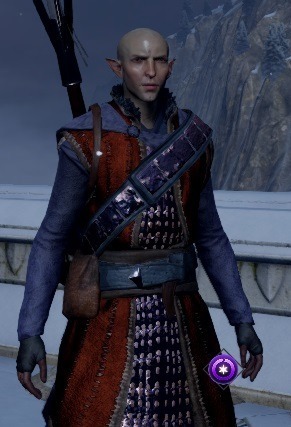 He is a member of the Ben- Hassrath, a Qunari spy and law enforcement organization. 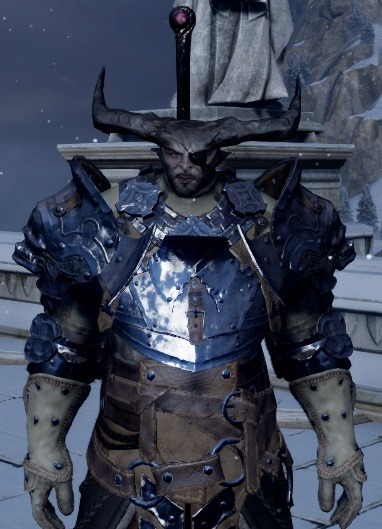 Iron Bull has spent many years living away from Qunari society, causing him to stop following the Qunari Qun code, and question his allegiances. He is the leader of the Bull’s Chargers mercenaries. Iron Bull can be recruited through the “Captain of the Chargers” quest, which you can pick up by speaking with Krem outside of the Chantry in Haven. Iron Bull can then be found near your first camp in the Storm Coast. Iron Bull is romanceable by both genders. Sera is an elven archer, and member of the Friends of Red Jenny rogue group. Sera is impulsive and makes decisions on the fly. She enjoys helping the common folk at the expense of the nobility. Sera is recruited in Val Royeaux, after you follow the notes for the “A Friend of Red Jenny” quest. Sera is romanceable by female Inquisitors only. Solas is an elven apostate – a mage who is not part of the Circle of Magi. Solas taught himself how to use magic, and is particularly knowledgeable about the Fade – the otherworldly realm full of spirits, ghosts, and demons. 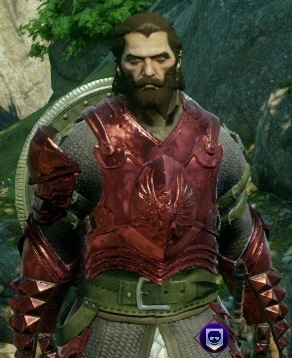 He joins the Inquisition due to his interest and expertise of the Fade. Solas is a very quiet, intelligent, and calm character. There is more to him than meets the eye. Solas is recruited automatically near the beginning of the game. He can be romanced only by female Elf Inquisitors. 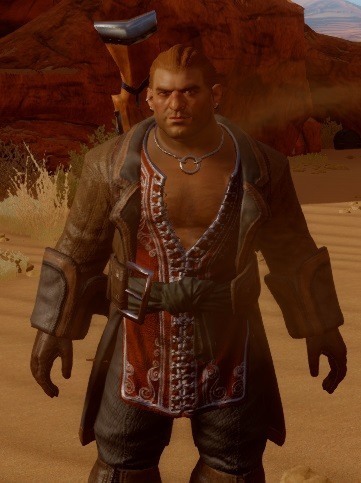 Varric is a dwarven rogue who was also present in Dragon Age 2, where he was one of Hawke’s (the protagonist) companions. Unlike most dwarves, Varric is highly adventurous and interested in the matters of the surface world. He is known for his wit and connections. Varric is recruited automatically near the beginning of the game. Varric will NOT be a romance option in Inquisition. 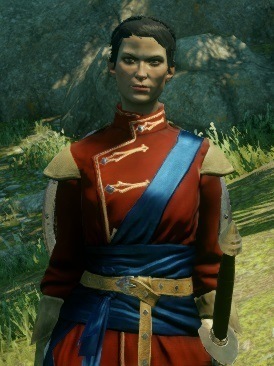 Vivienne is a human mage from the kingdom of Orlais – the most powerful nation in Thedas. She is highly obsessed with her appearance and seeks personal power above all. She is highly skilled at political maneuvering and has a reputation as a social climber. 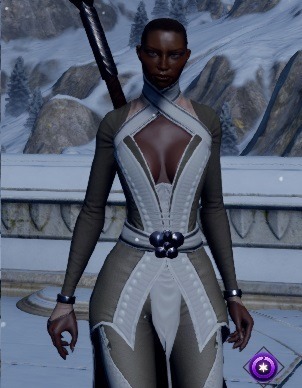 Vivienne is recruited through the “Imperial Enchanter” quest, which can be picked up from a messenger after you visit Val Royeaux. You need to travel to the Duke Bastien de Ghyslain after receiving the quest invitation. Vivienne is not romanceable. 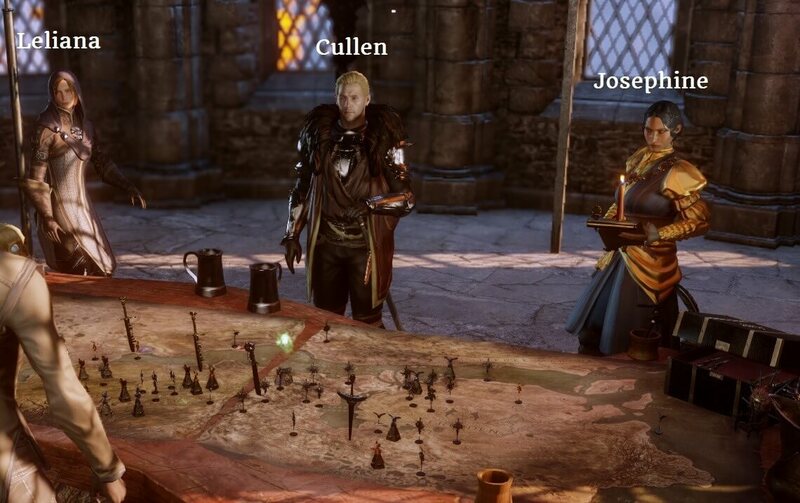 The three Adviser companions are Cullen, Josephine, and Leliana. You will send them on various war table missions in the war council room. Each adviser controls a different part of the Inquisition – the Cullen controls the army, Josephine diplomacy, and Leliana the spies and assassins. Each companion can be interacted with in Skyhold Castle in their separate location. Cullen became a Knight-Captain of the Templars following the events of Dragon Age 2. He advises the Inquisitor in tactics and controls the army. Cullen is romanceable by female Inquisitors. Josephine is an Orlesian diplomat. She will advise the player on matters of diplomacy. Josephine is romanceable by both genders. Leliana is the third advisor companion, and was previously a companion in Dragon Age: Origins. She advises the Inquisition on matters of stealth and espionage. Leliana is not romanceable.